We are working on another video. See info below! Arizona Pool Rescuers is here to provide you with the best weekly pool service. Are you in the need for weekly pool service? Stick around, we are going to explain three reasons why Arizona Pool Rescuers is the top choice. We are here to answer any questions you have. Contact us today! Arizona Pool Rescuers currently services pools in the East Valley of Arizona. We have established routes in your neighborhood. From Scottsdale all the way to Mesa and Gilbert. Oh you are in Chandler? Yeah we service there as well. Queen Creek? Yep we are in your neighborhood as well. Before we inform you of our industry standard service system, you need to know Arizona Pool Rescuers first priority. The most important part of servicing your pool is your pool water chemistry. Anyone can perform the steps in cleaning a pool and removing all debris. It takes a true professional to make sure that the water is safe for your family and friends to swim in. All Arizona Pool Rescuers service technicians are CPO certified. I know, as a customer you are probably unaware of what CPO certified means. Well, this means that all of our techs have taken a class on how to properly maintain pool water with chemicals. The industry does not have a way to ensure that pool service technicians are properly adding the right amount of chemicals in your pools water. They call this splashing and dashing. The most important part of serving you pool is making sure the right chemicals are used. On top of making sure the right chemicals are used, it is also very important that the proper amount of chemicals are added. We take this step very seriously. Adding chemicals to your pool is very important and the amount needs to be measured. I can not stress this point enough. Every time a chemical is added to measurements come into play. How much water your pool holds, and how much of any chemical is added. Please understand that this is the most important aspect of your pool service provider. Make sure that whoever is servicing your pool knows how to properly add chemicals to your pools water. Arizona Pool Rescuers has created the industry standard with our 4 PRIMARIES and 3 SECONDARY service system. Our system is created to make sure that all pools receive the same level of excellent service. In a world where no two pools are the same, it is sometimes hard to create a system to cover all needs for all pools. But we did it. All our techs follow the same service plan for each pool. This ensures our customers that all pools are serviced equally. See here how we did it. And feel free to ask us any questions you might have about our system. Arizona Pool Rescuers will service your pool each and every week by following your four primaries service procedure. Every week when we are at your pool we will ensure you that these steps are completed in full. Skimming is the first step we take to service your pool. We net out all the free debris floating on the top of the water as well as large debris on the pools floor. Skimming is the first step with our primaries because it is the most visual way to make a pool appear clean. This step does not have a time limit to it. Our techs then move to step two of our four primaries. Brushing your pools walls, steps, benches, and baja steps is preformed after skimming of the pool. While skimming your pool is very important, brushing your pool is just as important. This step will remove all none visible debris, dirt, and growth from the area of the pool that is remaining on your pool. This filter will clean this debris during circulation. The filtration baskets need to be emptied each and every week during service. Removing the debris from the baskets allows your pools filtration and circulation system to run freely. Full baskets will add additional stress on your pools circulation and filtration system. Although a pool can look clean with full filtration baskets, it will cause issues. Clean baskets will keep your pool cleaner for longer periods of time. So we touched on this a little already, but it is worth mentioning again…. And again. During your weekly pool service, this is by far the most important part of servicing your pool. Not only is it important to make sure the right chemicals are going into your pools water, it is also important to know the proper amount of chemicals to add. When people say, “You need to shock your pool,” do you really know what that means? Well we do. Arizona Pool Rescuers knows how to properly chem your pool. All our techs are CPO certified. So you have nothing to worry about. Your pools water will be safe for all users when allowing Arizona Pool Rescuers to service your pool on a weekly bases. Even if the 4 primaries have been completed in full, there are still steps that may need to be taken in order to provide a clean pool. We created our 3 secondaries to be performed if the 4 primaries do not leave the pool clean. The 3 secondaries are performed on an as needed bases. They are not performed at every visit if the 4 primaries leave the pool in a clean clear condition. During weekly pool service with Arizona Pool Rescuers you may notice our techs vacuuming your pools floor. This is especially common in the windy weeks. Vacuuming a pool is required when find debris such as dirt, sand, and small leafs enter the pools. Skimming these items will not work. Our pool technicians know when skimming wont work and vacuuming is needed. Our techs always have these tools on their trucks. Vacuuming a pool can change the appearance of a pool in a matter of minutes. All pools have filters on them, but not all filters need to be backwashed. If you have a pool you either have one of three filter on your pool. Sand filter, DE filter, or cartridge filter. The pools filter is designed to capture all debris measuring down to microns. Over time, the de and sand filter are needing to be backwashed. Our service techs know when this step is needed. Hiring Arizona Pool Rescuers, you can rest assured that you filter will be backwashed when needed. Over the past few years salt cells have hit the industry with a force. Many customers are choosing to switch over to salt water pools for a more clean feeling while using the pool. Before we get started teaching you on how Arizona Pool Rescuers manages this part of your pool, lets get something straight. Just because you have a salt water pool does not mean that you do not have chlorine in your pool. This simply means that the salt water in your pool is burned by the salt water generator. This gas that is created is chlorine. So even though you might have a salt water pool, it is still sanitized by chlorine. It is just a very clean way of chlorinating your pool. Arizona Pool Rescuers knows how to clean these salt cells and when they should be cleaned. Learning all this information is crucial to picking and hiring a service provider for your pool. There are a lot of pool service providers to choose from. Make sure that you choose the right one for your pools needs. It is not always a good idea to shop for weekly pool service provider off of price alone. Any of these steps that are not properly done can result in major issues. Know what you are getting when you hire a pool service cleaner. When hiring your next pool service provider make sure to ask them what services you are getting. Ask the company if they know how to properly service pools and the water in those pools. Check to see if they are CPO certified. Also know that you are not hiring for the amount of time a pool service provider is in the back yard. You are hiring for the services that are offered and the pool to be cleaned. Some techs can perform these steps faster than others. Arizona Pool Rescuers promises that we are going to do everything we can do to provide the top level service for your pool. We are managing your pools water for 365 days a year. That is 52 weeks and visits. With the amount of vulnerability your pools has to the elements, there are issues that will arise. We know that issues may arise over the years, but we are here to make sure these issues a put to rest as soon as possible. 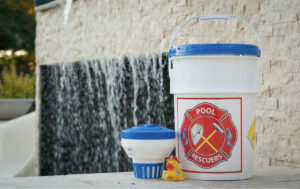 Arizona pool Rescuers also wants to make sure that we are as proactive as possible. Ask us about our quarterly pool inspections.